A World Health Organization report has found that the global healthcare community is quickly running out of antibiotics that can effectively treat deadly, infectious diseases. Officials say that clinical drugs currently in development can only temporarily stave off the emerging threat of antimicrobial resistance, which has allowed viruses and bacteria to evolve in ways that make them impervious to commonly-used antibiotics, antivirals, and antimalarials. “Antimicrobial resistance is a global health emergency that will seriously jeopardize progress in modern medicine,” said WHO Director-General Tedros Adhanom. WHO has identified 12 classes of priority pathogens that it says require urgent attention from the scientific community. The list includes several common infections, such as pneumonia and urinary tract infections, but more deadly diseases like tuberculosis are also included. Among its criticisms, WHO says that there are very few oral antibiotics being developed, despite the fact that these drugs are vital for treating infections outside of hospitals or in resource-limited settings. 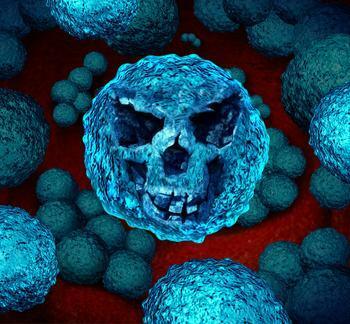 “Pharmaceutical companies and researchers must urgently focus on new antibiotics against certain types of extremely serious infections that can kill patients in a matter of days because we have no line of defense," said Suzanne Hill, Director of the Department of Essential Medicines at WHO. Of particular concern to WHO officials is the emergence of drug-resistant M. tuberculosis and gram-negative pathogens such as Klebsiella and E. coli, which can be fatal if allowed to spread in hospitals or nursing homes. Dr. Mario Raviglione, Director of the WHO Global Tuberculosis Program, says that funding for new treatments of tuberculosis is seriously deficient. He points out that only two treatments for drug-resistant versions of the disease have made it to market in the last 70 years. “If we are to end tuberculosis, more than $800 million per year is urgently needed to fund research for new anti-tuberculosis medicines,” he said.